It’s hard for me to pinpoint what it is about Ed Ruscha’s large-scale book paintings that thrilled me, but walking into the Gagosian Gallery the other day, that’s just what they did to me. In my eyes, these recent works by the Nebraskan-born artist pay homage to the fast-disappearing tomes. 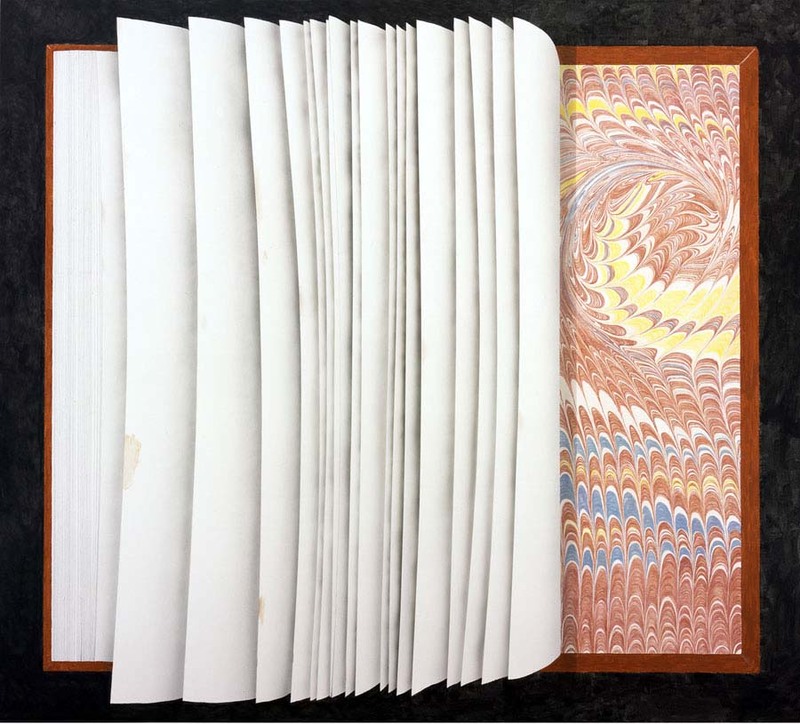 While others are using books and/or their pages to create sculptures and installations, Ruscha is making them larger than life, focusing on the details of their bindings, endpapers, and moldy pages. 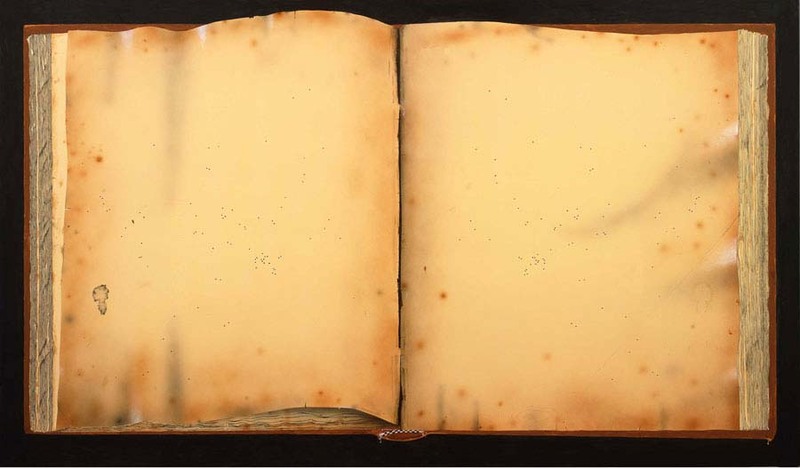 The exhibit includes older works involving books and words, some with type bleached onto their linen bindings, and still others with writing on the paper side of closed books. 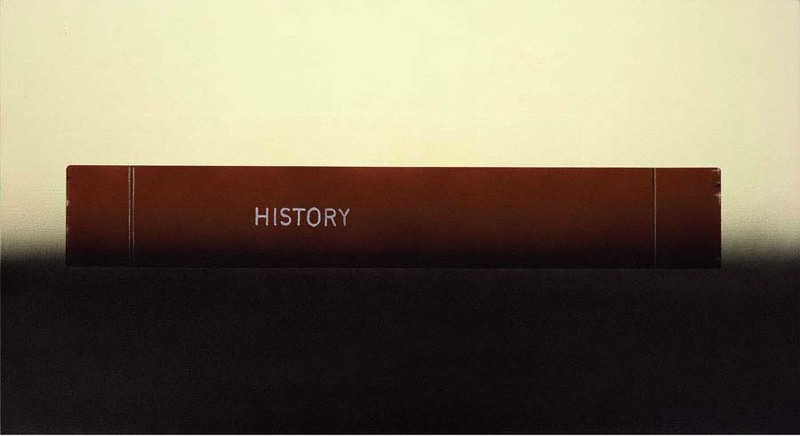 Ruscha’s fascination with words is not new; he has been quoted as having said “Sometimes I wonder whether I am painting pictures of words or whether I’m painting pictures with words.” Either way, works for me. The exhibit will be on view through January 12th. Photos by Paul Ruscha and Rob McKeever courtesy of Gagosian Gallery. This entry was posted in Art, NYC, Stuff We Like. Bookmark the permalink.